i LOVE these. i wish these were real. they’re my favourite of the lot, and i would absolutely wear them but unfortunately, they’re not in production. boo. 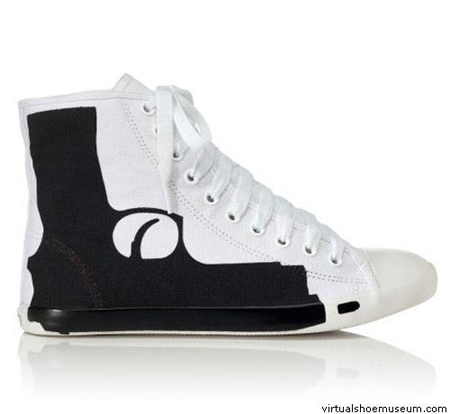 these were designed by dutch fashion designer daryl van wouw, but i found them in the virtual shoe museum. you should have a look through it – there are lots of fun and funky designs. obviously they’re not all wearable, but some of them are and some of them you can even buy – like these transforming transformer shoes. excellent! edit: ooh, I DID NOT SEE THESE BEFORE! 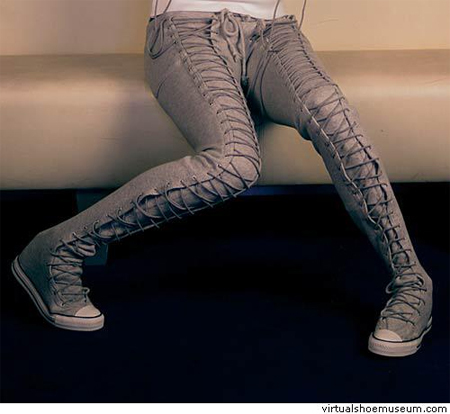 i’d still have to say the converse trouser-shoes are my favourites, but these come in at a VERY close second. 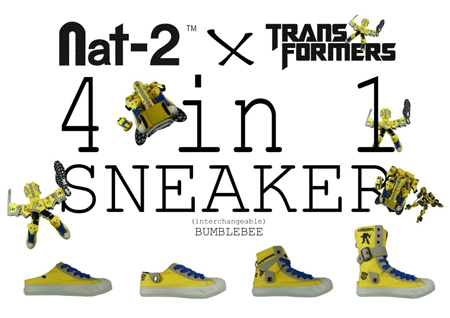 This entry was posted in fashion, shoes and tagged converse, nat-2 transformers, pistol, virtual shoe museum. Bookmark the permalink.